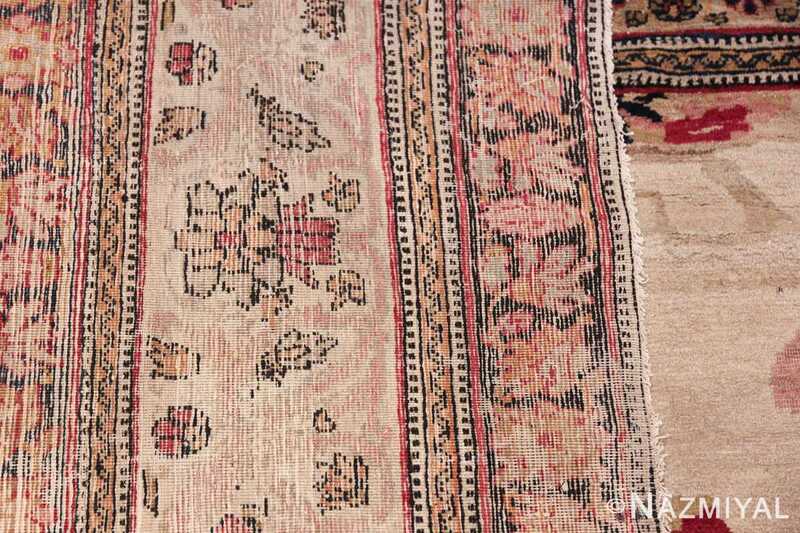 Beautiful and Finely Woven Antique 19th Century Kerman Rug, Country of Origin: Persia, Circa Date: 1890 — This spectacular antique rug displays a large central ornate medallion in shades of red, cream, pink, beige, gray and black. 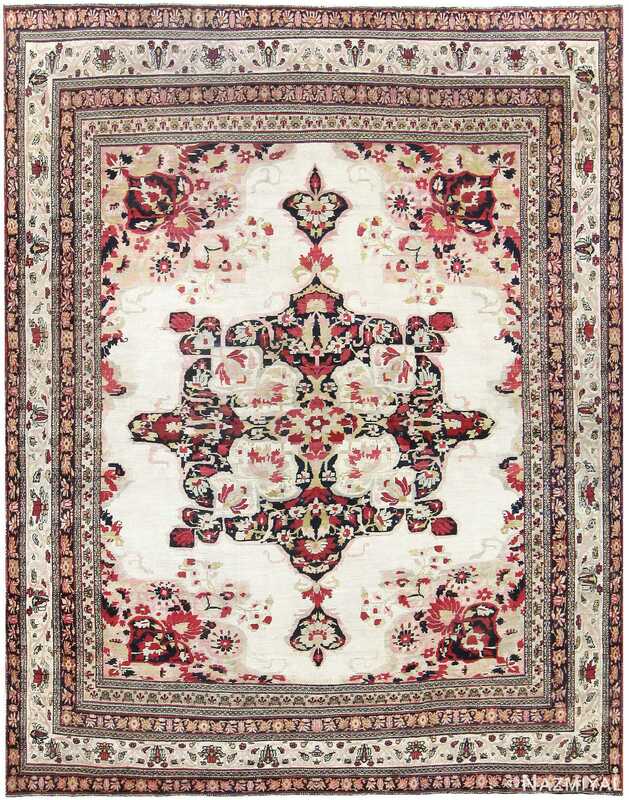 It offers a floral motif, showcasing a multitude of red-centered white blossoms and four large white blossoms tinged in red around a central red flower. Four ornate floral spandrels in red, black, cream and pink hues mark the corners, cascading flowers downwards along the edges of the field. The cream border carries a floral motif. It is surrounded on either side by narrower black guard borders densely populated with flowers. 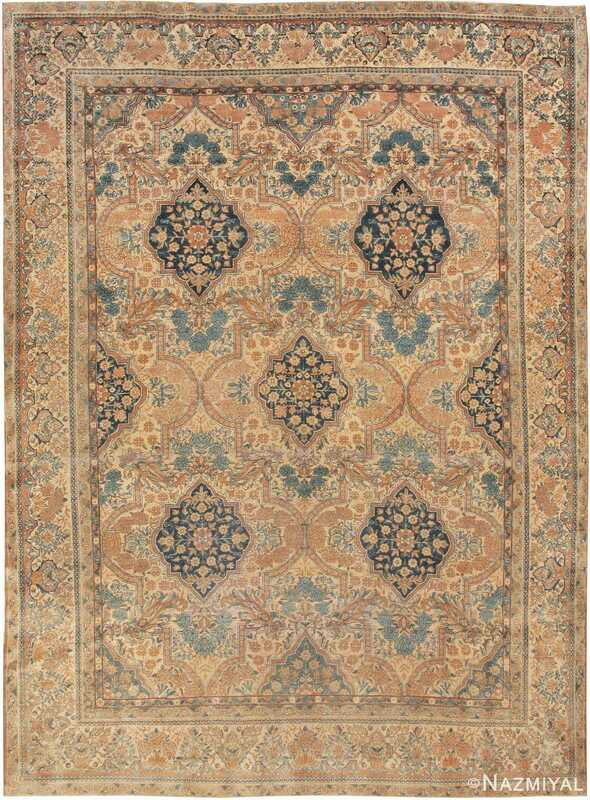 A narrow interior border encloses the field, reflecting the same design pattern and colors as the border itself. 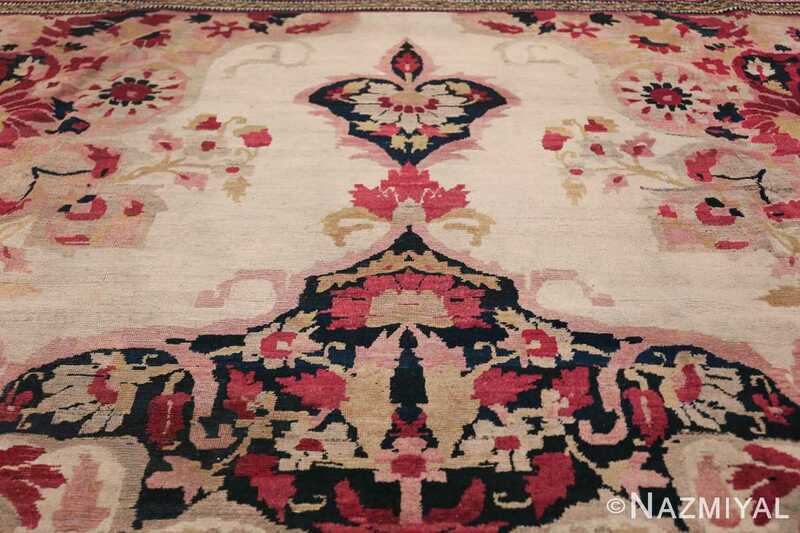 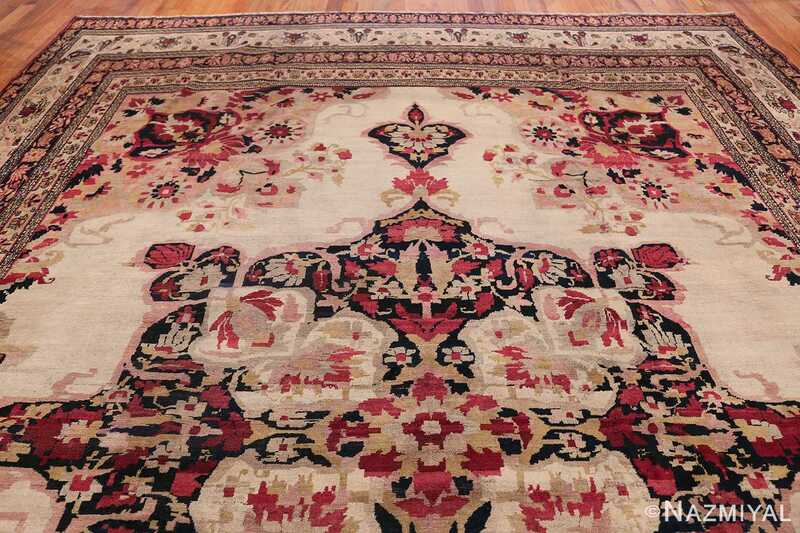 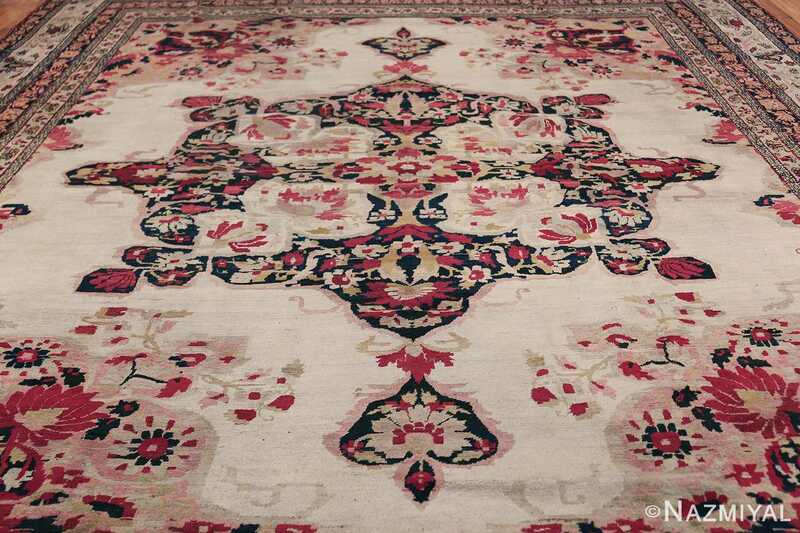 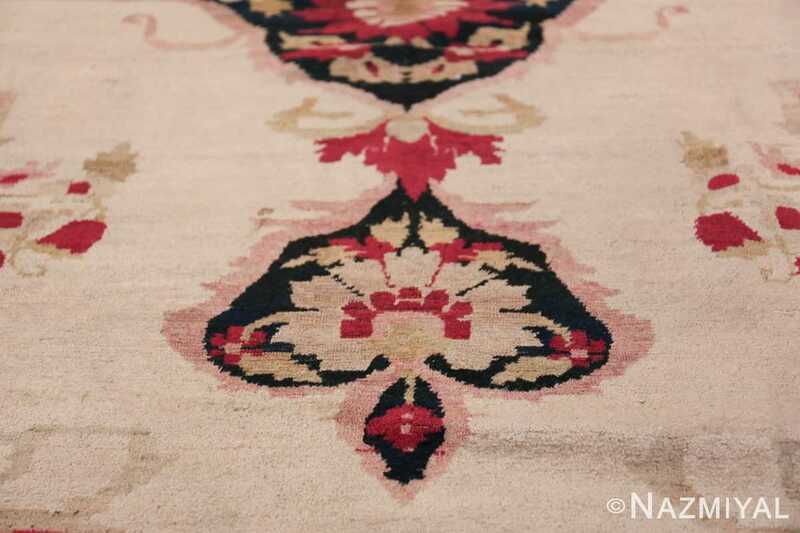 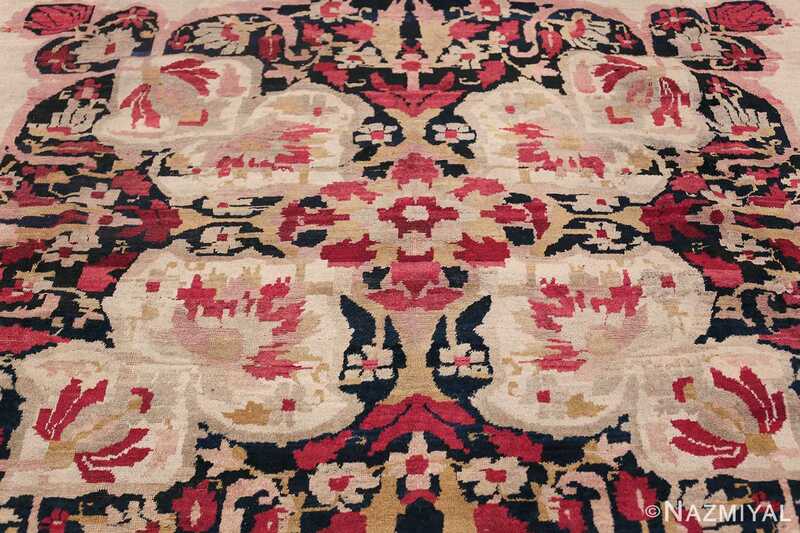 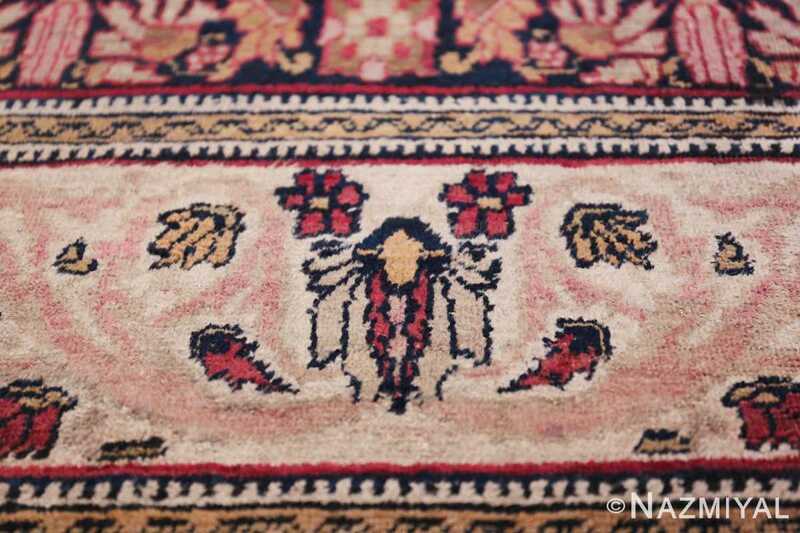 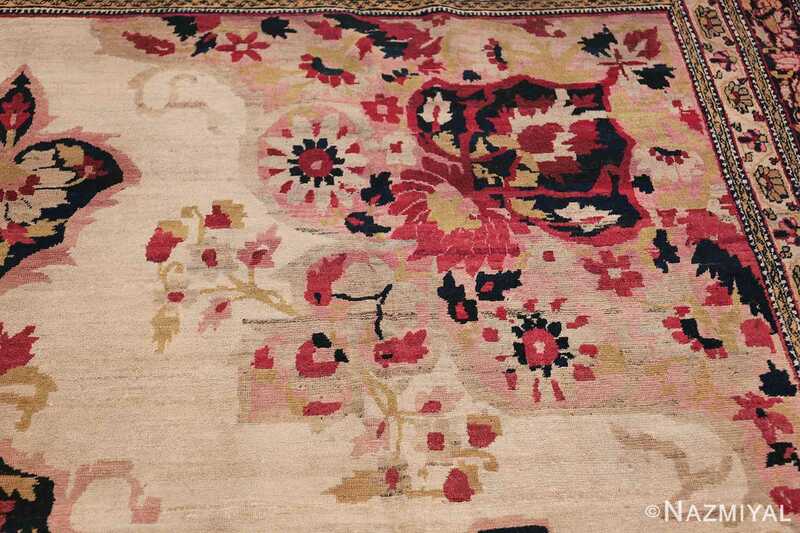 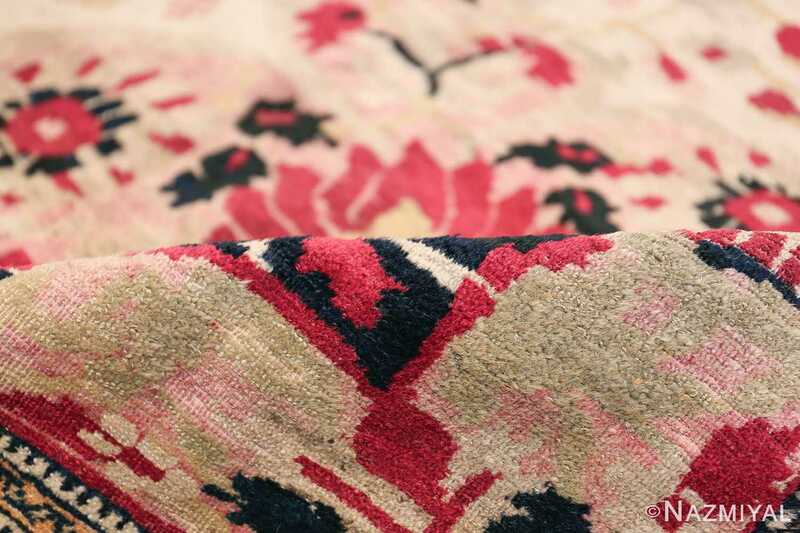 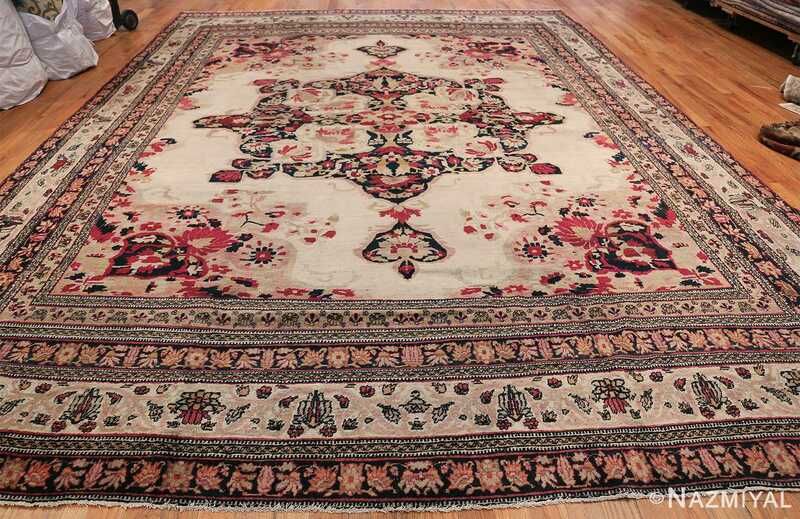 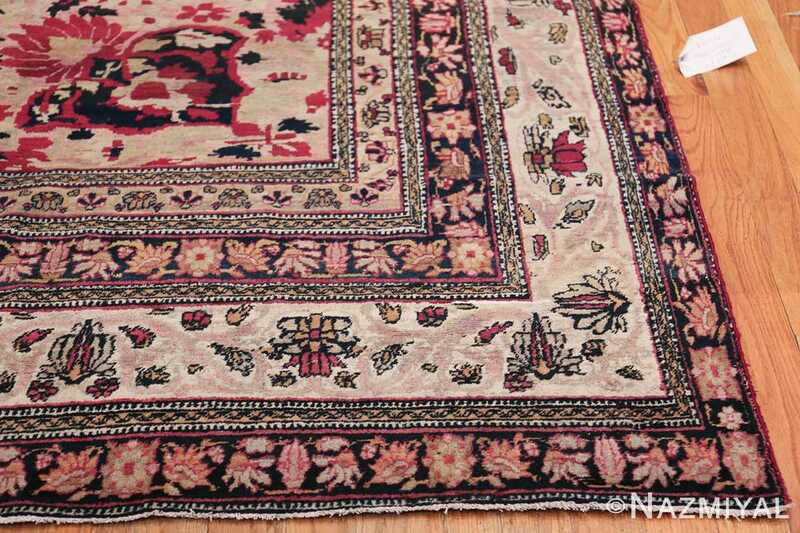 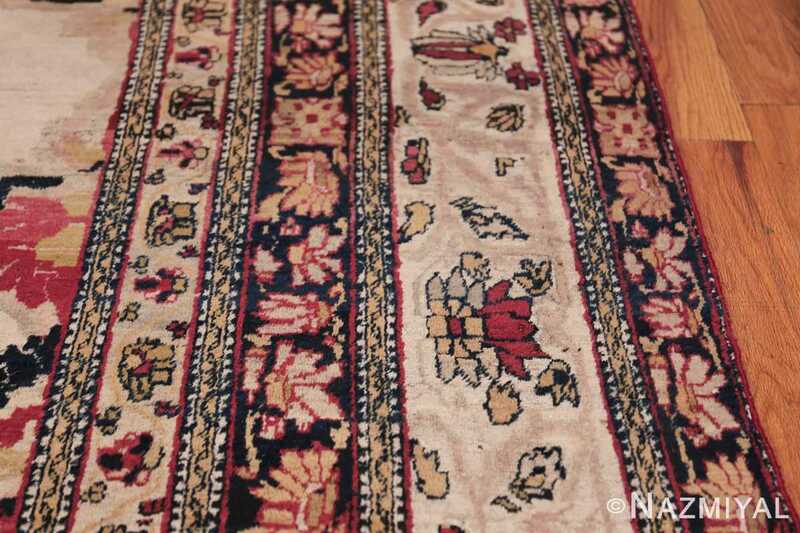 Located in South Central Iran, Kerman became a center of rug production during the 1400’s. 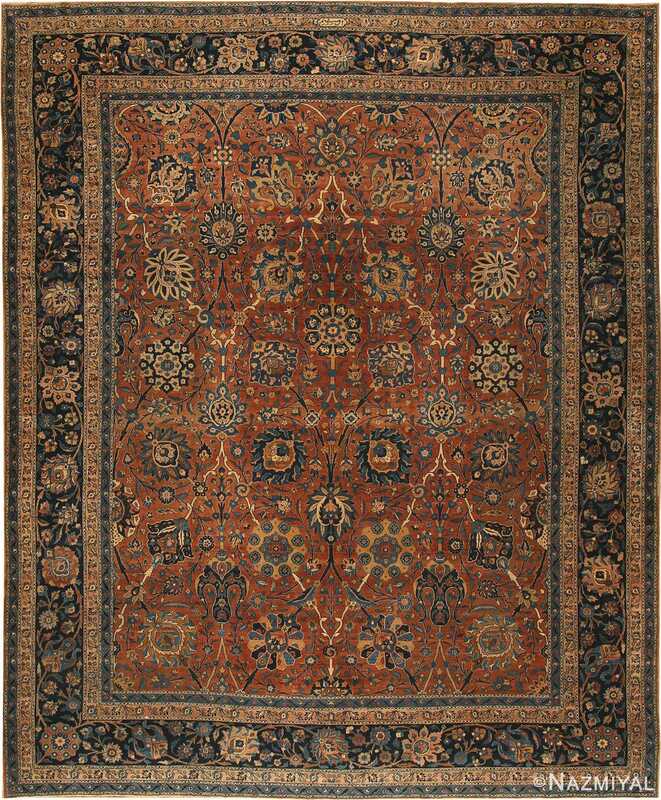 A stunning pattern that has been derived from classical Persian Kerman vase carpets unfolds elegantly throughout the ground of this sumptuous antique Persian rug. 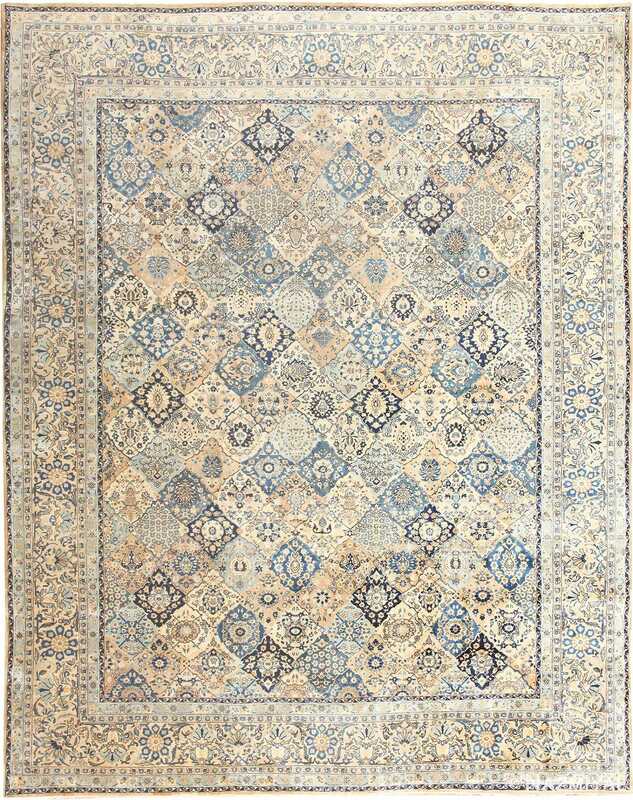 Woven during the turn of the century, this exquisite antique Kerman Lavar rug features a tessellating tile pattern woven in a combination of blue and oxidized pink.